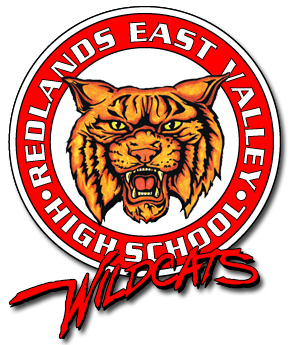 Citrus Belt League >> Redlands East Valley won a school record 15 titles, including the girls 400 freestyle relay by Emily Longfellow, Autumn D’Arcy, Emily Rigsby and Sydney Benveniste. Jack Moyles won the boys 100 breaststroke event for REV. Redlands High School’s Niki Proctor won the girls 100 breaststroke event while Melissa Pepper won the 50 free with a time of 24.70 seconds. Michael Norman of Vista Murrieta set a meet record with a time of 10.28 seconds in the 100-meter dash. Citrus Valley’s Claire Graves held a brief lead before Sultana’s Stefani Gaskell surged ahead and wouldn’t be reeled in. Gaskell held off a strong kick from Graves to win in 10:52.00, which was .75 ahead of the Citrus Valley junior. Yucaipa’s Delaney Ellsworth was third (10:53.32). The Redlands East Valley girls 400-meter relay team of Azariyah Scott, Madelynn Gray, Arian Brown and Emerald Bowens held off Rancho Verde to win the relay in what Bowens said was a school-record time of 47.85 seconds. Redlands East Valley’s Jaelan Phillips announced that he has narrowed his list of 19 college offers down to five with the announcement of his top choice to follow tomorrow at noon. Phillip’s Top 5 includes four schools from the PAC-12 (Washington, Stanford, UCLA and USC) and Notre Dame being the fifth. UCLA has been a dream school for Phillips and a program that has drawn the interest of several Inland Empire athletes, especially the last few years. It would be hard to rule out Stanford as a contender, a place Phillips could fit right in as a student-athlete seeing as how he holds a highly regarded grade point average at REV. Phillips made two trips to the University, one of which was for a junior day event on Feb. 27. While five schools have reached the final round of the Phillips’ sweepstakes, it is the end of the road for some highly touted programs such as Alabama, LSU, Florida and Michigan. Chino Hills High School boys basketball player Lonzo Ball headlined the All-CIF Southern Section Open Division team as player of the year on Monday. LiAngelo Ball and Eli Scott also represented the Huskies on the list and head coach Steve Baik was named coach of the year. The Huskies will play in the CIF State Open Division playoffs on Saturday, facing Northern California representative Concord De La Salle. Damien High’s Bryce Peters, a University of Colorado commit, rounded out the Open Division selections for local athletes. Ayala had three representatives on the All-CIF Division 2AA list, led by John Mounce, who received coach of the year honors. John Edgar was named the player of the year for the division and Austen Awosika was also acknowledged on the list. The trio will lead Ayala to its first CIF State title game on Thursday against Manteca in Sacramento. For Division 3A, Roman Silva of Diamond Ranch earned player of the year honors and teammate Tyler McLean also received CIF-SS honors. Silva and McLean led the Panthers to a victory over Chaminade, 53-48, in the championship game. Kayla Washington of Cajon led local girls athletes with a CIF-SS Open Division honors. In Division 1A, Janessa Thropay of Chino Hills was selected to the team along with Diamond Bar’s Juliana Gamboa and Destinee Garr. Summit (Fontana, Calif.) WR Damian Alloway announced that he has committed to UCLA. He decided to join the Bruins over offers such as Notre Dame, Washington and Oregon among others. Alloway joins 7-on-7 Ground Zero teammates and local area standouts, Lokeni Toailoa and Leni Toailoa from Carter High. Alloway could have gotten on the San Bernardino Sun All-Area team on offense or defense. On defense, he led Summit High School with six interceptions, which he returned for 105 yards. He also had 28 solo tackles. On offense, he was nearly unstoppable, catching 55 passes for 1,084 yards and 23 touchdowns while also rushing for 185 yards and two touchdowns. He also scored two more touchdowns on returns.